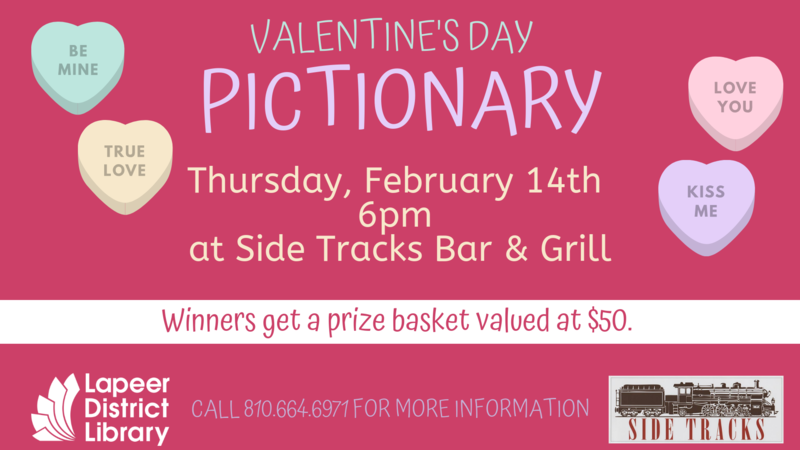 Join us for Valentine's Day Pictionary at Side Tracks Bar & Grill. Bring your date, best friend or group to play with. Winning team gets a prize basket valued at $50. For more information about the program, please call the deAngeli Branch Library at 810.664.6971.